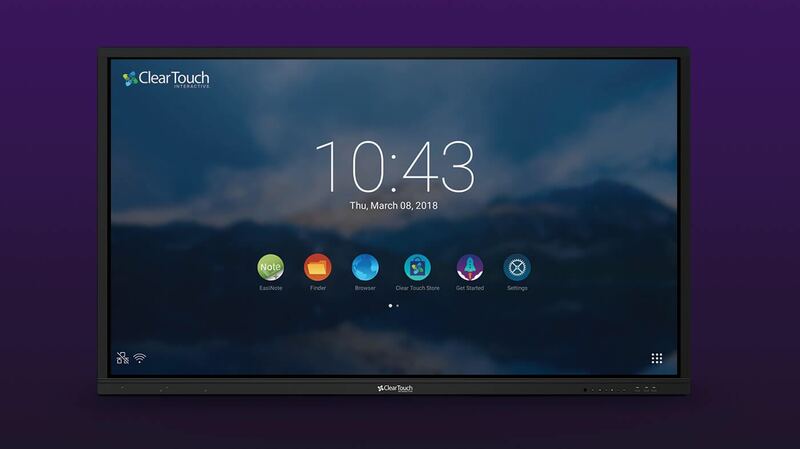 Clear Touch Interactive® is one of the fastest growing brands in the EdTech market, providing interactive panels and hands-on service and support to customers throughout the United States. 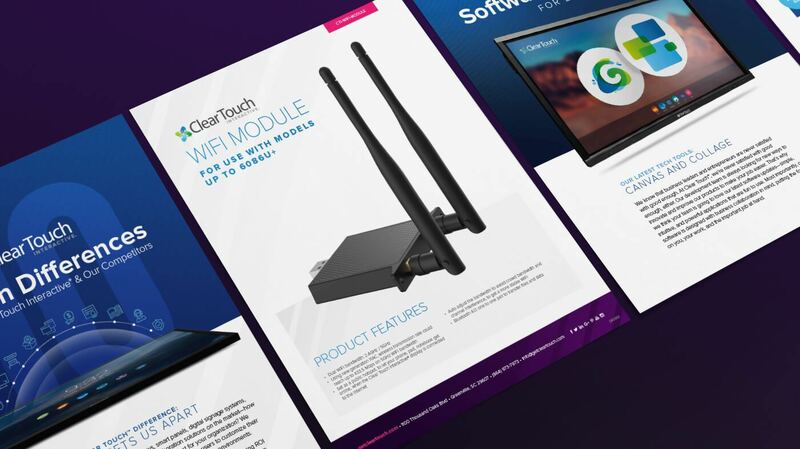 The team at Clear Touch™ began working with The Brand Leader in 2015, in the middle of a company growth phase, in order to execute their branding and marketing vision. 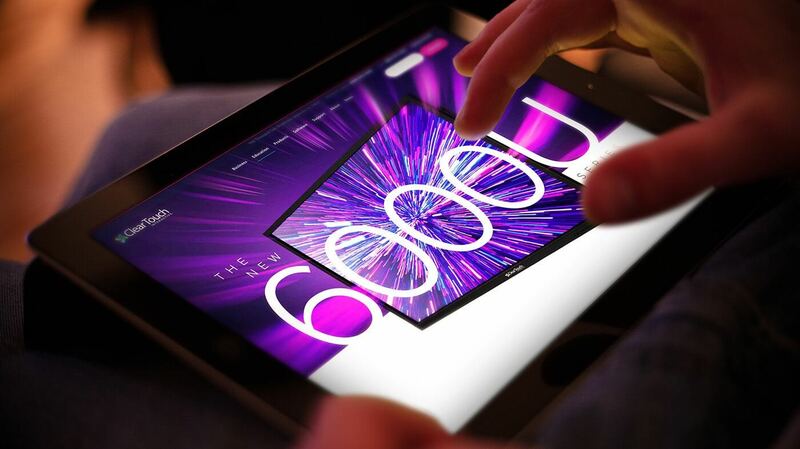 Now, the partnership between the two companies continues to evolve as the industry changes. According to Keone, their internal team conducted a thorough search in the Greenville, SC area for the right agency. Finding a local agency and forming a true partnership was important to Clear Touch™; the team wanted to get to know their agency on a personal basis and be able to have face-to-face meetings. 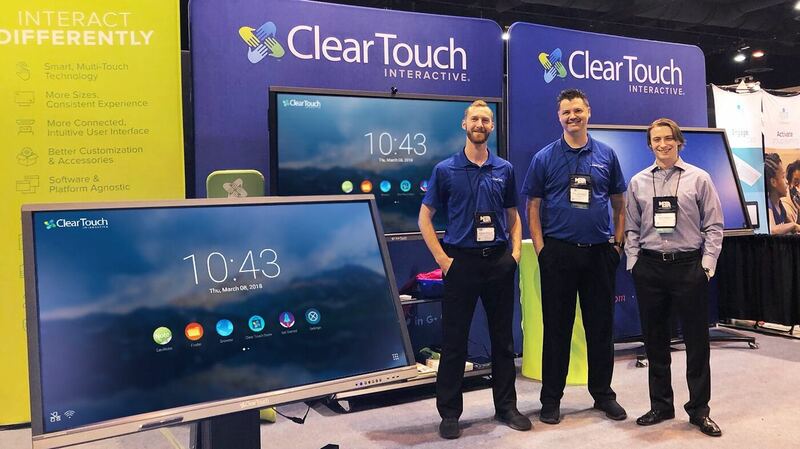 Specifically, The Brand Leader offered to shadow the Clear Touch™ team at an upcoming trade show in order to get a full picture of the current brand and the way that Clear Touch™ was positioning itself in the market. Based on the recommendations, Trask and the Clear Touch™ team began working with The Brand Leader on an enhanced identity, which included a bolder logo with a bigger pop, a new color scheme, and more consistent branding across all marketing materials, from their letterhead and trade show slip sheets to the website and email campaigns. Overall, rebranding and finding a new identity was an involved, delicate process which relied heavily on open communication between the two companies. 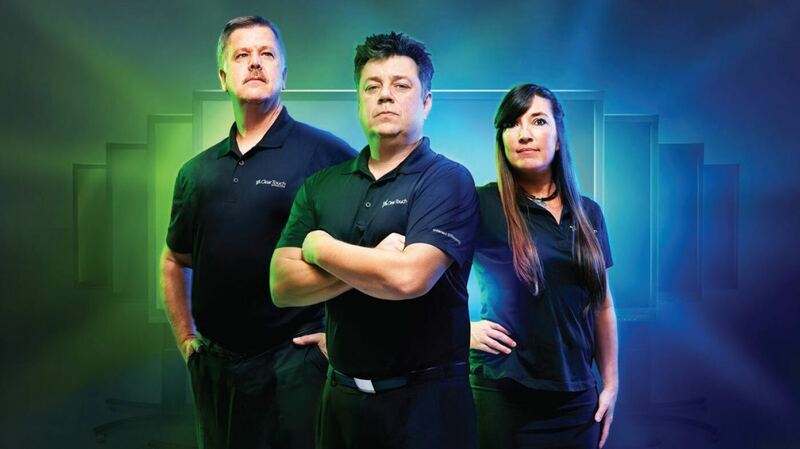 In addition to The Brand Leader’s adaptability and willingness to collaborate, Keone and the Clear Touch™ team appreciate having a focused marketing partner. While the partnership between Clear Touch™ and The Brand Leader is strong, any partnership has hiccups and challenges. It’s how you respond to those challenges that matters. Clear Touch™ had a large order of brochures printed up for one such trade show. With the help of The Brand Leader, Keone and the Clear Touch™ team hope to continue on the track they’re on.